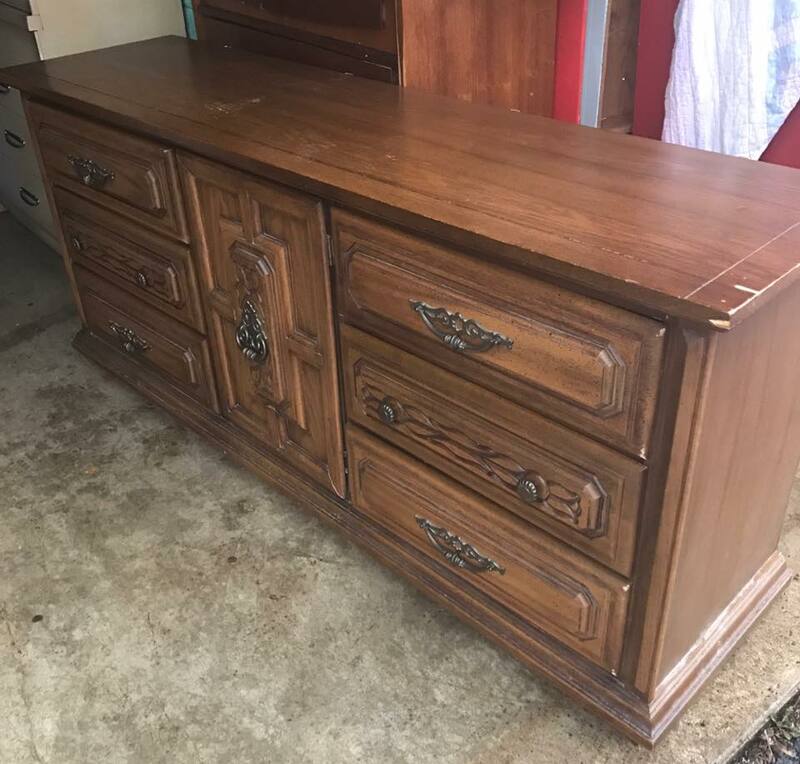 Painted Ombre Buffet - Brushed Design Co. 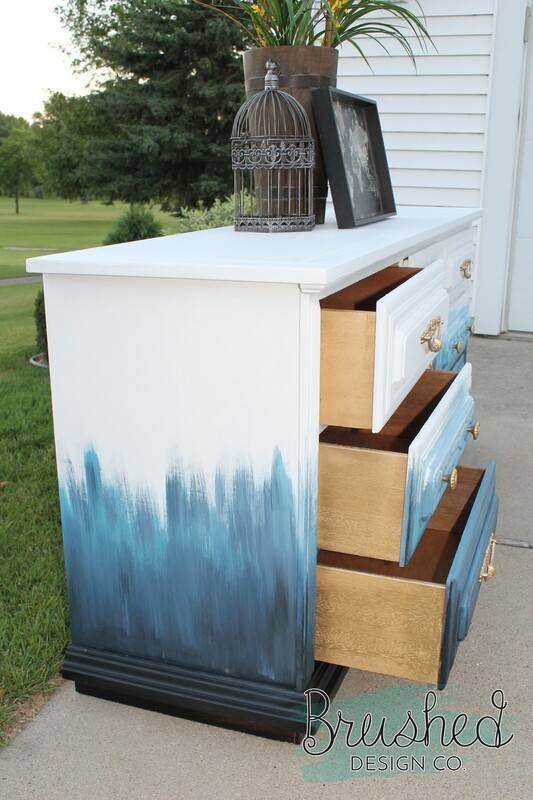 This makeover of this Ombré Buffet is one of my proudest pieces! 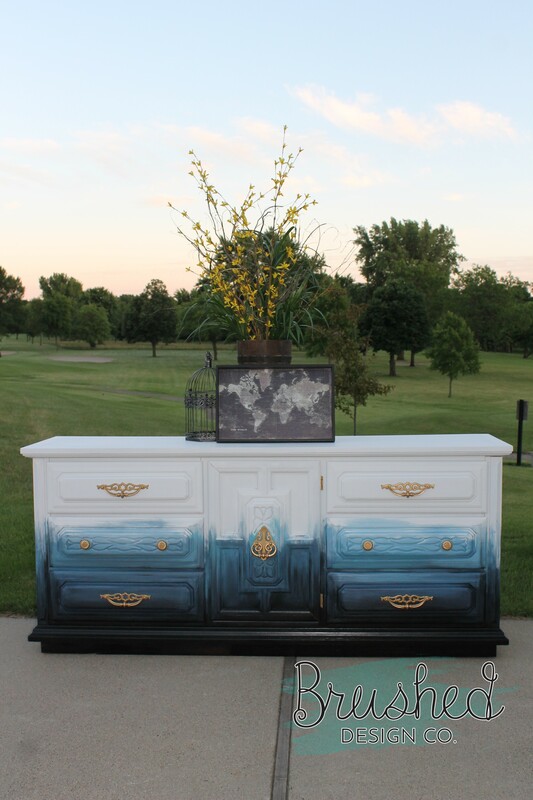 I had so much fun creating something that is not only a functional piece of furniture, but a work of art! Before painting, this was a dated and damaged piece. Using advanced techniques, I created this gorgeous ombré pattern using Fusion Mineral Paint in Casement, Azure, Liberty Blue, Midnight Blue, and Old Masters Gel Stain in Spanish Oak. 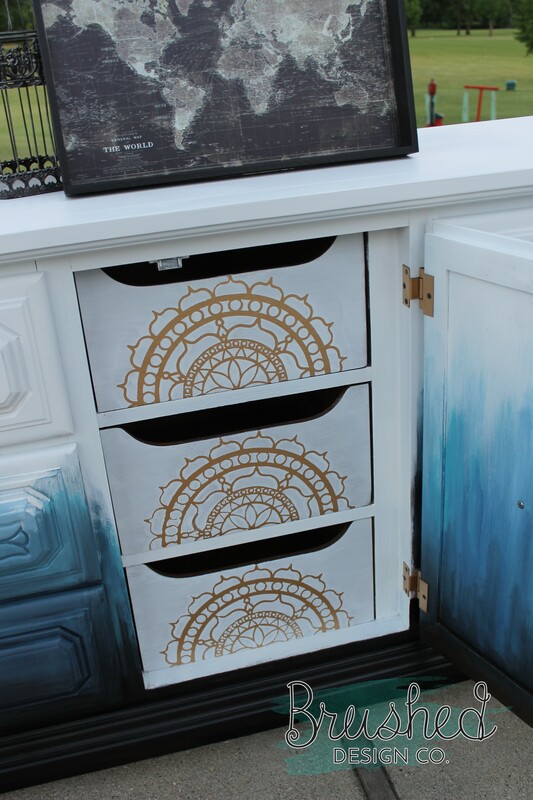 I finished off by spraying the existing hardware with Valspar’s Metallic Gold Spray Paint. To read more about this project, click here!